LiL collective were at Kate Spade throughout April and May, as part of the international #bloombloom event. Our artists, Willa Gebbie and Miss Magpie were invited to bring some Springtime flowers in store for a wonderful leather customisation event. 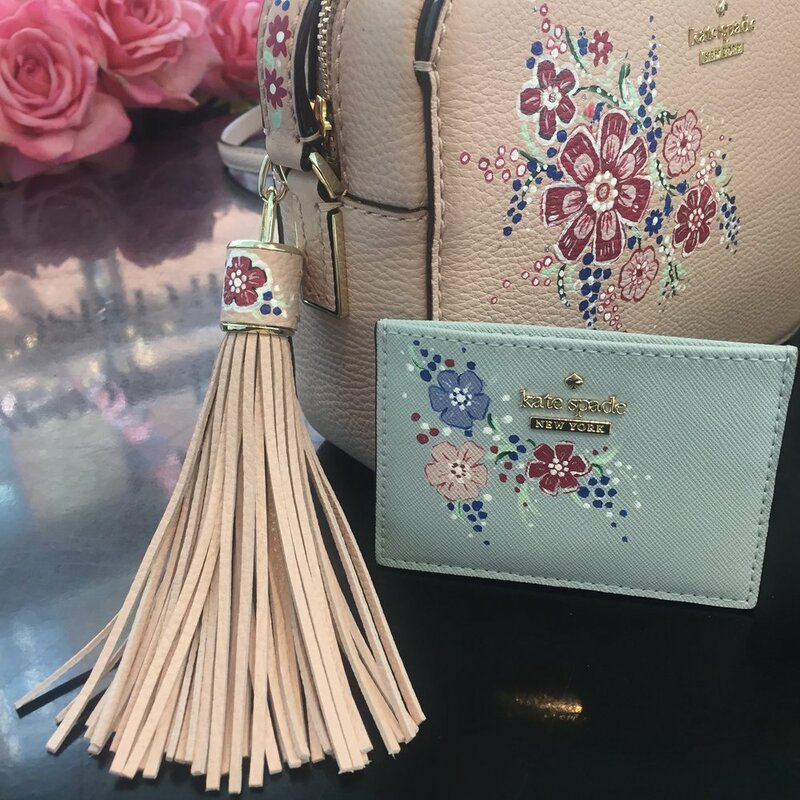 The event, split across stores at Regent St, Selfridges (London and Manchester), Sloane Sq and Heathrow, offered customers complimentary floral customisation on their leather accessories. As well as some free goodies, a glass of bubbly and gorgeous floral biscuits.